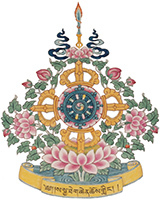 Tibetan clothing, prayer flags, handicrafts, jewelry, art, and more! Come see the cultural hall and library transformed into a marketplace of vendors at Sakya Monastery of Tibetan Buddhism. Items offered for sale include: blankets, jewelry, statues, prayer flags, incense, clothing, art prints, books, CDs, and Himalayan art calendars. Many of these items make wonderful holiday gifts! Additionally, many baked items are available for sale, including gluten-free. At 12:00 pm enjoy a free tour of the Shrine Room with its traditional Tibetan murals, sculptures, mandalas, and triple-sized golden Buddha statue. Tibetan tea will be served.